Parking Pal is a smartphone controlled parking barrier that protects your parking place and enables key sharing among the users. With Parking Pal you can easily control and share your parking place with your family and guests via our free mobile application. All you have to do is fasten the Parking Pal with provided screws to the ground and we guarantee that your parking place will be protected. 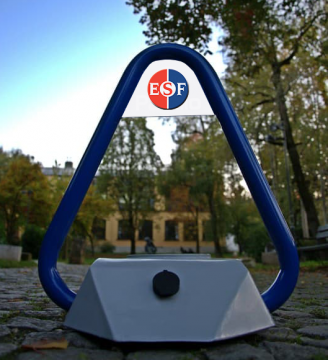 Street Charge is an exciting solar powered, outdoor, mobile phone charging station that enables businesses to provide a phone charging solution to patrons using solar energy, allowing visitors to stay out for longer. If you have an area that requires night time delineation but is difficult to maintain, off the national grid or you are simply looking for a quick and cost effective installation with minimal disruption – then look no further.